Custom cut from 100% super high density polyethelene, our cutting boards are food safe certified and ready for industrial and commercial kitchen use. The 1/4" white sheets are lightweight and popular replacements for deli, sandwich and refrigerator countertops. 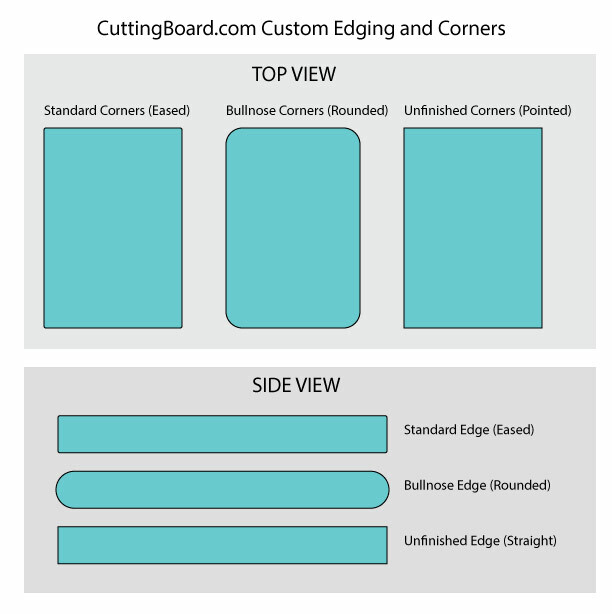 We provide the option for a raw cut for a direct drop in on embedded cutting boards, or we can provide standard edging and corners for a direct top replacement. We can special cut sheets up to 96" long and 48" wide, which fits just about every make and model of food service equipment. We also offer custom 1/4" poly in color. All of our poly boards are made right here in the US and we can provide a super quick turnaround of 2 to 3 business days and often we can even ship same day! We specialize in small jobs and are happy to do anywhere from a one-off board to replacing your entire comissary and provide our pricing directly on our website. Our business is just cutting boards, so we know what you need! Need extra customization? We can do that too! We utilize a machine programmed CNC router for custom engraving, designs, shapes and more. Our customers have had custom made pizza boards, cut outs, handles, juice grooves, names, logos and corporate gifts. For special requests, please fill out our custom cutting board form or call us at 253-234-7569 and we will get back to you with a quote usually same day if before 5pm PST. As we ship with UPS, boards over a certain size will trigger an oversize fee. If your order qualifies for the surcharge, we will contact you after your purchase to collect additional fees, as our free shipping promotion does not include oversize fees. If the (width*2 + length*2) is over 130 inches, the UPS Large Package Surcharge is $65. If the (width*2 + length*2) is over 165 inches, or one side is over 108 inches, UPS surcharge is $110. Click the button below to add the Custom Plastic HDPE White Cutting Board 1/4" Thick to your wish list.